One of my first posts cautioned against comparing the current economic downturn to the Great Depression. Our economy is certainly in terrible shape, as Friday’s GDP data confirmed. Indeed, it’s the worst downturn since World War II. But it still pales in comparison to the horror of the Great Depression. The current downturn is the worst since World War II (the green bar is larger than each of the blue bars; together the green and blue bars represent the five largest post-war declines). The current downturn is a far cry from the Great Depression (the green bar is much smaller than the red bar). You would have to assume enormous further GDP declines to get anywhere near the stunning 26.7% peak-to-trough decline in GDP during the Depression. The economy contracted sharply (12.7%, the orange bar) after World War II. That’s why, from a GDP perspective, the current downturn is the worst since World War II (defined for these purposes as stretching to 1947), not the worst since the Great Depression. Post-war data are available quarterly, but earlier data are available only annually. Thus, the data aren’t exactly comparable, but that doesn’t affect the main qualitative points. The chart excludes one major downturn: that of the late 1930s. After plummeting in 1929 to 1933, the economy grew briskly in 1934 to 1937, only to fall back into sharp decline. As noted, we have only annual data for this period; they indicate that GDP declined 3.4% from 1937 to 1938. My recollection is that the actual decline was much worse on a quarterly basis (mid-1937 to mid-1938), but those figures aren’t reported in the official BEA data. The decline in 1945-47 was very different from the other declines. It followed a period of exceptional, unsustainable, war-driven growth. A return to peace may have been temporarily bad for GDP, but it was good for the world, good for the nation, and good for the rest of the economy (e.g., consumer spending rose even as overall GDP fell). The declines cover periods of different length, ranging from two quarters (1957-58, 1981-82) to four years (the Great Depression). Some readers of my original post wondered whether that weakened the point I was trying to make. I don’t think so. The Great Depression was Great because of both its length and its severity. One way to capture that is to focus, as the chart does, on cumulative GDP declines. 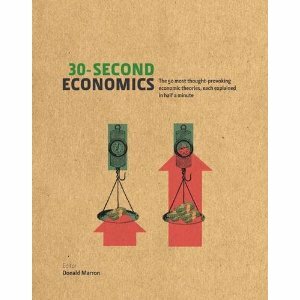 As discussed in a follow-up to my original post, one can think of other measures that might do a still better job of capturing both the length and severity of economic downturns. I haven’t done those calculations yet, but my guess is that they will make the current downturn look worse relative to other post-war downturns, and will make the Great Depression look even worse still. The current downturn may not be over. Forecasters have certainly been wrong before. As noted above, feel free to add your own forecast to the green bar, if you see fit. Finally, as noted in yet another related post, there are striking parallels between the run-up to the current crisis and the run-up to the Great Depression. As Merle Hazard put it: “a plane crash averted does bear some resemblance to a plane crash that happened.” So feel free to analogize the start of the crisis as being similar to the Great Depression even though the overall economic loss is (knock on wood) much smaller. Note: I made five changes to the chart in my original post. First, I colored the current downturn green to distinguish it from the other post-war downturns. Second, I used the latest data for recent GDP (which show a slightly deeper decline than was expected when I wrote my original post; those data boosted the current downturn to the top, post-war spot). Third, I used revised figures for the earlier time periods; the resulting changes were small. Fourth, I corrected a dumb error in my original calculation of the GDP decline in the Great Depression (I originally used the sum of the annual declines, when the correct figure uses compounded figures; this error is particularly dumb, since I had the correct figure in an adjacent cell in my spreadsheet). Fifth, I added the downturn of 1945-47. A few hours after my original posting, I also updated the chart and some text in this post to reflect a comment about 1937-38 (thanks Bill C). That’s a useful reminder to keep the “Depression” hysteria in perspective. I think 1937-38 should also be in there. You are absolutely right, thanks. I make some tweaks to the chart and text. The annual data don’t really do justice to the 1937-38 downturn (only 3.4% year-over-year), so I decided not to include it in the chart itself. I hope you update this monthly from now til 2020 or whenever the 1st depression of the 21st century ends in case I’m being too optimistic. BTW one of the folks from the regional FED banks said real unemployment was about 16% nationally. Refreshing to see a small peak behind the curtain of “official numbers” don’t you think. I hope I am wrong and you are right but I haven’t seen the government tell the truth in over 50 years on this mad planet, I can’t understand why they would start now. If we are a consumer based economy, and consumers keep losing their jobs, and those that remain employed are working less hours per week, and in any case all consumers as a whole are at a record level of indebtedness, just how do we the consumer spend our way out of this depression? What is the engine of growth going forward? We all can’t run our own repo businesses or is that the next bubble? My concern is that this is a debt inspired Schumpeterian depression where the essential prosperity of the nation will not be impaired immediately as it was in the 1920’s. This would look like Japan 1990-2010 except, Japan’s depression was primarily caused by the corporate sector borrowing, whereas ours is caused by consumer and government. The implied velocity of money is still very high and with GDP = MV, the reduction in velocity that will take place as the debt unwinds is in the neighborhood of 30+ % (current V ~ 1.7 vs 1941 low of ~1.2 a difference of around 30%). We have a long way to go still. The fed thinks that by pumping up reserves it will solve this problem (that is increasing M to solve for reduction in V). This is the theory that Friedman (and now Bernanke) advocated. It is now called the great experiment. Can we grow money in use by 35% or so to prevent depression 2.0? Why, when I look in the mirror, do I see Japan? Is America, Japan in the throes of collapsing circa 1990, without the engine of exports to moderate the rapidity of the collapse? Are the seeds of deflation apparent now? Does the recession/depression continue until 2014 when the Department of Defense says demand will outstrip oil supplies? How does an industrialized society survive without cheap oil? Are we getting a clear picture of what is really going on in the economy or is the situation manipulated in order to conceal the magnitude of the problems before us?